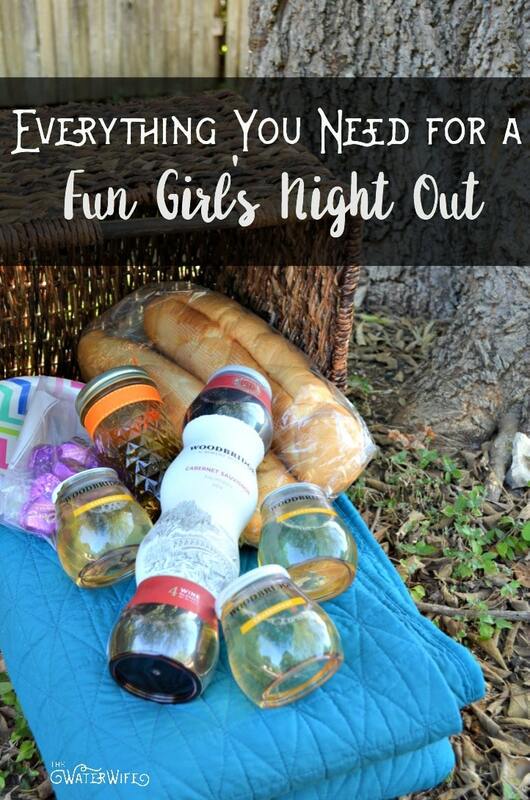 This Fun Girl’s Night Out post has been compensated by Collective Bias, Inc. and it’s advertiser. All opinions are mine alone. #ShareWine #CollectiveBias The following content is intended for readers who are 21 or older. Y’all know I am an advocate of self-care. I think far too many women neglect themselves and their needs. Think about it, how often do you really make yourself a priority? With all of our responsibilities with motherhood, marriage and running a home and business, it’s easy to forget to take care of yourself. Are you grumpy, short tempered and feeling overwhelmed? It’s probably time for a fun girl’s night out! Since getting married and becoming a mother, girl’s night out looks a little different than it used to and I have to tell you, it’s a lot more fun! I love when the weather is nice and my girlfriends and I can do something outside, on the go, experiencing our city together. Right now in this Texas heat, we’re melting but the evenings cool off enough to spend some time outside and the ladies and I have been making the most of the summer! We’ve seen live music, enjoyed concerts in the park, had ladies lake days and outdoor movies. I have loved every minute of the laughter, chatting and fun! It doesn’t have to be difficult, the last thing you need is more hassle to arrange your girl’s night out. Make a plan, keep it simple and make sure you have snacks and wine! I like to check what’s going on locally so my friends and I can make plans on the nights there’s a good movie playing at the park or a band we want to see. 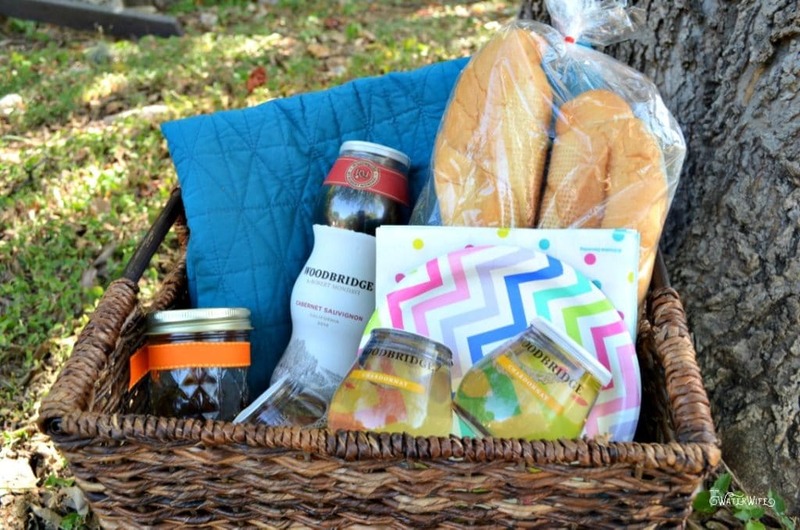 Then I pack us the essentials for outdoor fun; snacks, chocolate, and wine! Did I mention the chocolate and wine? You can do pretzels, trail mix or nuts but I love some fresh french bread with seasoned oil. It is just as easy but so much tastier! I buy mine in the bakery at our local grocery store and use fresh herbs and Italian seasonings in my olive oil for dipping. It goes perfectly with wine, well doesn’t everything! And I always carry a bag full of my favorite dark chocolates because you can’t have a girl’s night without chocolate! I mentioned you need wine and recently I found the only wine to take on the go. 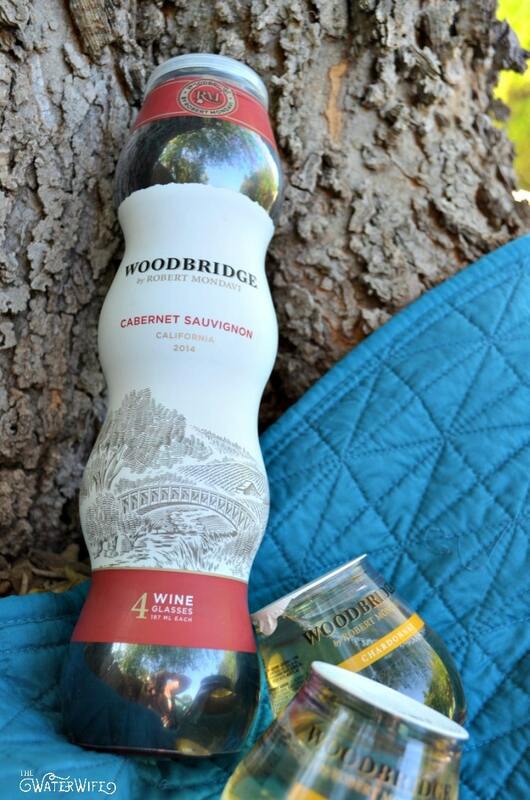 Woodbridge by Robert Mondavi Chardonnay and Cabernet Sauvignon. 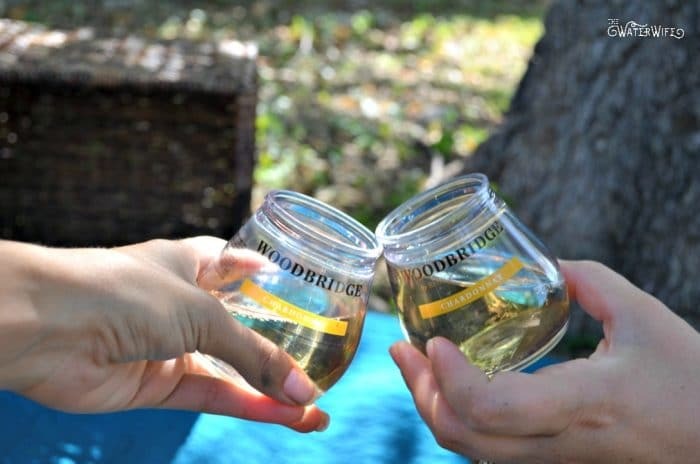 Woodbridge by Robert Mondavi Chardonnay and Cabernet Sauvignon comes in convenient, single-serve containers, made for sharing and perfect for taking on the go! Woodbridge has been around for 30 years so it’s a brand you can trust; you know it is excellent quality and delicious! I love that I can throw the Woodbridge by Robert Mondavi Chardonnay in a cooler to take anywhere like on the lake or beach when glass containers aren’t allowed! For our girl’s night, I like to carry the Woodbridge by Robert Mondavi Cabernet Sauvignon. I just throw it in my bag with the snacks and treats, grab a blanket and we don’t even need ice, we are ready for a fun night out! Ladies, don’t neglect recharging with your girlfriends, it’s part of taking care of yourself. Don’t underestimate how important some downtime is and how easy and fun it can be! Check out the EntertainAndPair Social Hub for more entertaining ideas and make a plan for your girl’s night out right now. You will be such a better wife, mother and human with a little laughter with your girlfriends, so make it happen! Cheers!